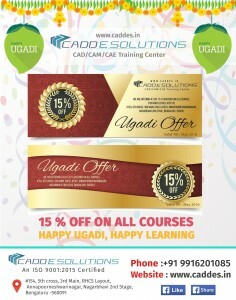 ugadi offer flat 15 off on all courses : Now avail 15% off on all courses for this ugadi 2016 valid till may 2016. For more details get in touch with us. Ugadi Offer : Now avail Flat 15% off on all courses from 8-4-2016 to 8-6-2016. For More info contact us.